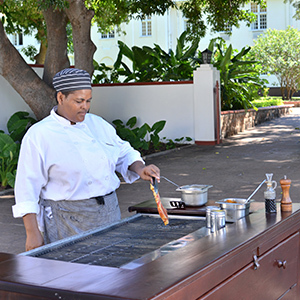 Located next to the exquisite pool our open-air bar serves a full range of alcoholic and non-alcoholic beverages and also offers a tempting barbeque (a braai in local lingo). 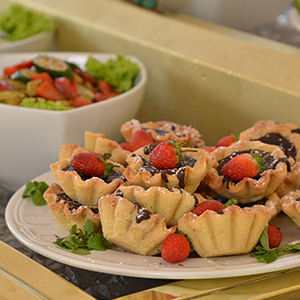 Guests can also order light meals and snacks that are served under the several thatched gazebos. Live ethnic entertainers perform every day at lunch time. The pool area has a maximum seating capacity of 70.